Precision Pastoral Pty Ltd has been announced as the new commercial partner for the highly successful Precision Pastoral Management System, which allows pastoralists to monitor their cattle herd using satellite technology. A public tender is currently being advertised for small mining environmental and public safety works to take place in Tennant Creek. Five Department of Primary Industry and Resources (DPIR) staff were part of a delegation that showcased the Northern Territory’s oil and gas capability at an industry conference in Perth last week. Mango growers, producers, industry, researchers, biosecurity officers and others just interested in the science of mapping land use are invited to a presentation on horticulture tree crop mapping in Australia on Monday 29 May 2017 in Darwin and Katherine. 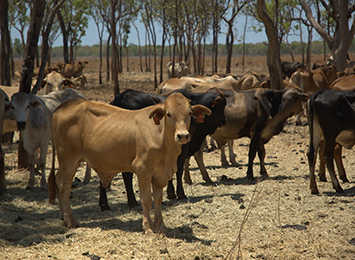 The Northern Territory (NT) cattle industry has unanimously agreed an assurance level of Johne’s Beef Assurance Score (JBAS) 6 would best facilitate movement of cattle into and within the Northern Territory while maintaining biosecurity requirements consistent with live export requirements. The requirements apply to all Johne’s disease (JD) susceptible species. Northern Territory (NT) mango research had a strong presence at the 11th Australian Mango Conference in Bowen, north Queensland last week. The Pipeline Licence for the significant Jemena Northern Gas Pipeline project has been approved by the Northern Territory Government. The Northern Territory (NT) Government is committed to the development of the NT by providing exploration opportunities to assist in unlocking the Territory’s untapped resources. Applications are now open for the 2017-18 Animal Welfare Fund Grant Program. Research into African mahogany plantations has been awarded national research funding.